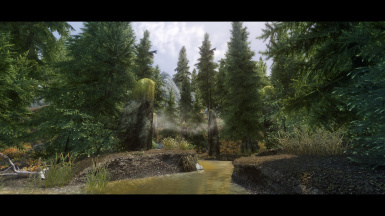 Transforms the tundra into a boreal forest, such as those found in the tundra of extreme northern latitudes. 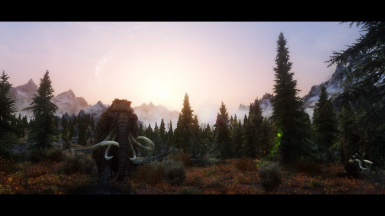 This mod was built around Ro84's Great Forest of Whiterun Hold. Grazie amico! 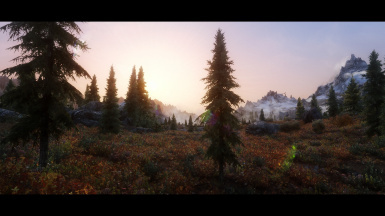 This mod includes a file which incorporates Indistinguishable Vanilla Tree Billboards by Palerider. Thank you! 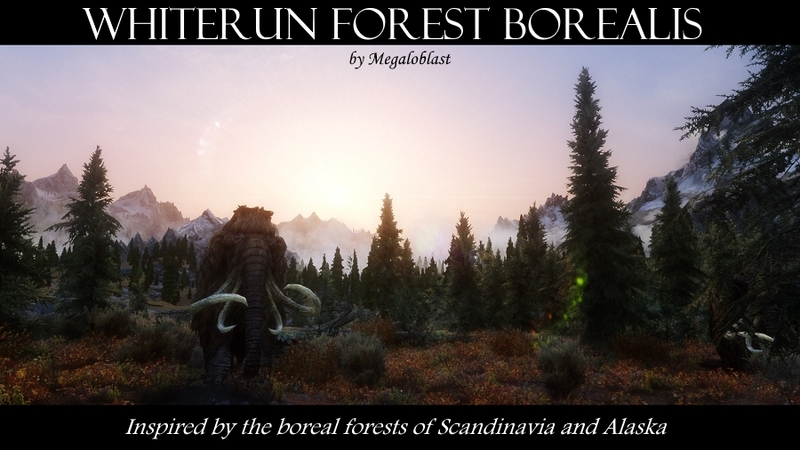 If using vanilla tree models, you need only install "Whiterun Forest Borealis with Indistinguishable LODs"
Install "Whiterun Forest Borealis with Indistinguishable + RAT LODs"
Explanation: Billboards are two dimensional images of trees. When you generate tree LOD via xedit, two things occur. 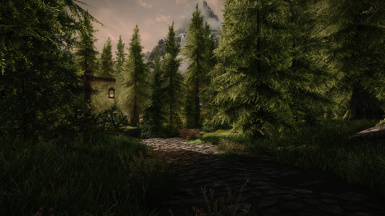 One, the billboards are compiled into a tree lod atlas, which is a single texture that contains all the tree LOD textures (this is great for performance). 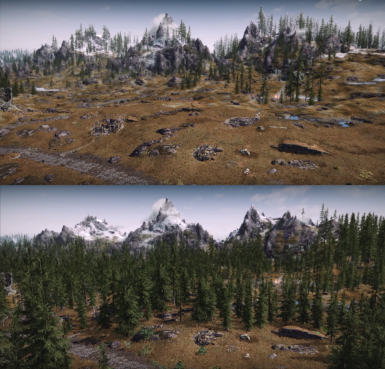 Two, it generates a series of files which inform the game where to express tree LODs (ie, all over Whiterun Tundra now), as well as the size of each tree in game, and the position of a particular tree LOD image on the atlas texture. 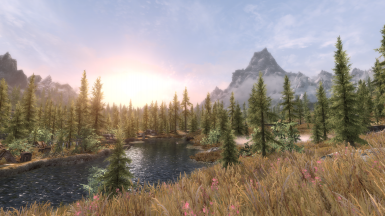 Thank you reddit user Ichidh for the extensive beta-testing and documentation! 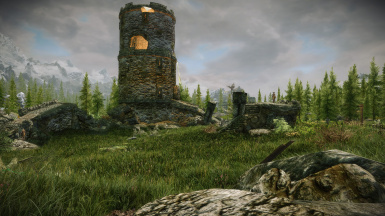 Thank you Daymarr and LordOfLA for the testing and screenshots!